Research articles on 9 different roller coasters. 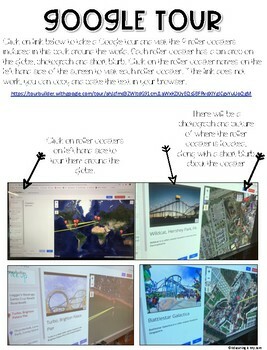 Each article has a photograph, information and a QR code to "ride" that roller coaster. Several links and QR codes to research information as a class, in pairs or independently. The links work best if you are trying to show students how to navigate around the websites/videos whole group, before they use the QR codes to research on their own. 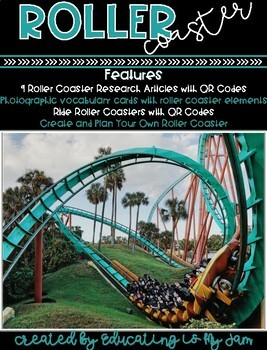 20 Photographic vocabulary cards that describe and show they different elements that can be found in roller coasters. 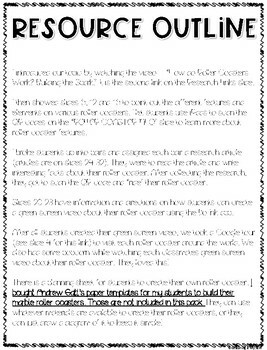 2 versions of a script and directions for how to make a green screen video of students presenting the information they learned about their roller coaster. 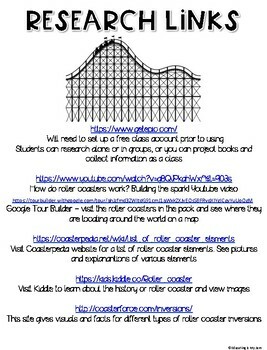 A planning sheet for students to create their own roller coaster. The paper roller coaster templates. Those were bought from Andrew Gatt's TPT store.